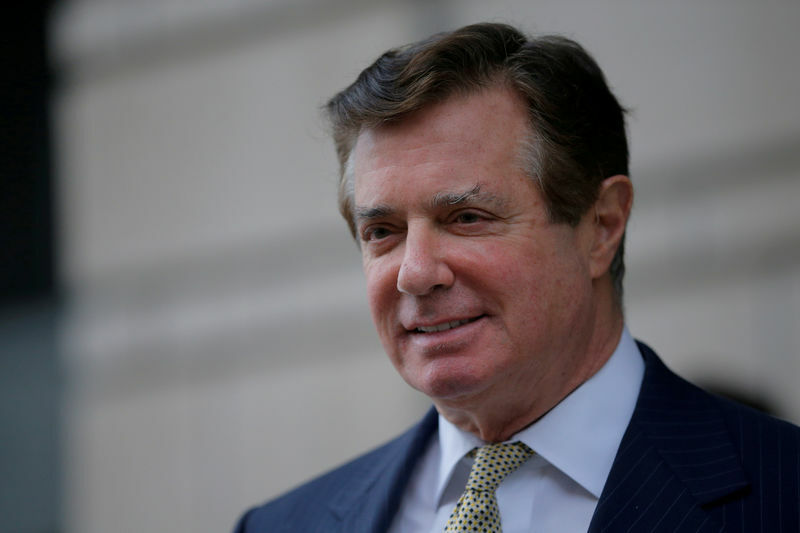 WASHINGTON (Reuters) – U.S. President Donald Trump’s former campaign manager Paul Manafort will be arraigned on Friday following a third superseding indictment against him by Special Counsel Robert Mueller that lodged additional charges on accusations of witness tampering. Judge Amy Berman Jackson, who is presiding over Manafort’s criminal case in federal court in Washington, D.C., set the arraignment to coincide with a previously scheduled hearing over whether Manafort’s bail conditions should be revoked in light of the witness tampering accusations. Manafort is currently under house arrest and required to wear GPS monitoring devices. The indictment last week included new counts against Manafort and Manafort aide Konstantin Kilimnika, a political operative with alleged ties to Russian intelligence, for allegedly tampering with witnesses regarding their lobbying for Ukraine. The additional charges could increase pressure on Manafort to cut a deal and cooperate with Mueller’s probe, legal experts said. Friday’s indictment marked the first time that Kilimnik, who in previous court filings was referred to only as “Person A”, was named. Mueller has said Kilimnik has links to Russian spy agencies, which Kilimnik has denied.